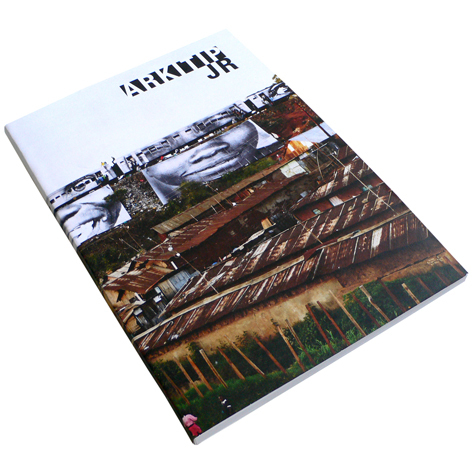 JR - Issue No. 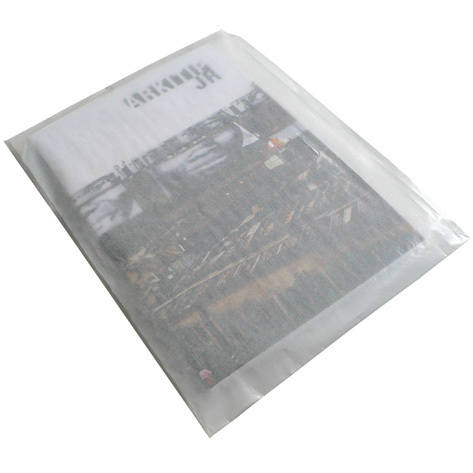 0056, Magazines | Arkitip, Inc.
JR utilizes the biggest art gallery and exhibition space in the world. He exhibits freely in the streets of the world, catching the attention of people who are not museum visitors. His work mixes Art and Act; talks about commitment, freedom, identity and limit. 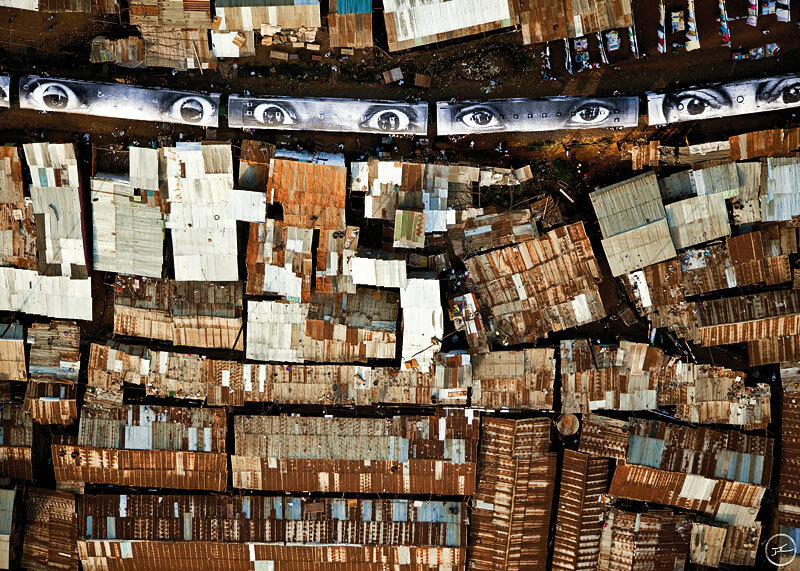 Working with a team of volunteers in various urban environments, he mounts enormous black-and-white photo canvases that are spread on the buildings of the slums of Paris, on the walls in the Middle East, on broken bridges in Africa, and across the favelas of Brazil. These images become part of the local landscape and capture people’s attention and imagination both locally and around the world. During JR’s projects, elderly women become models for a day and kids turn “artist” for a week. In this art scene, there is no stage to separate the actors from the spectators. In Rio, he turned hillsides into dramatic visual landscapes by applying images to the facades of favela homes. In Kenya, for his project “Women Are Heroes,” he turned Kibera into a stunning gallery of local faces. 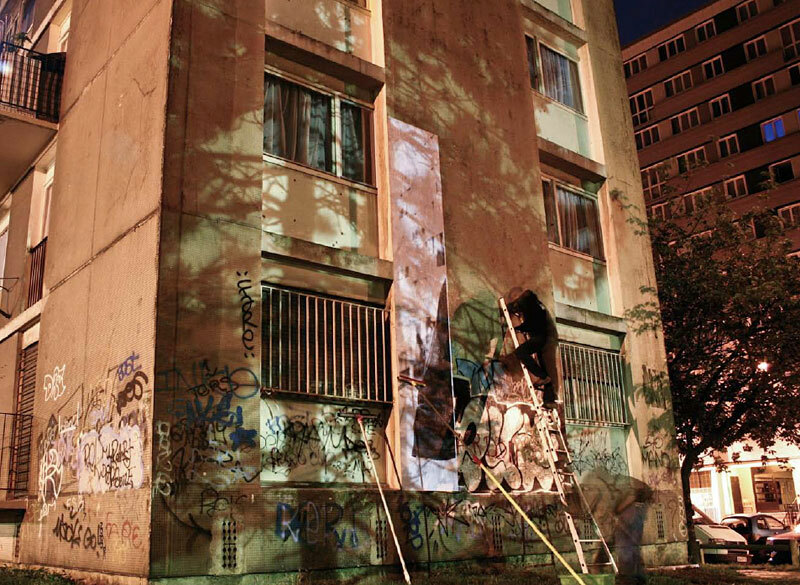 In 2006, he created “Portrait of a generation”; a project in the slums of Montfermeil, France. In this project he created portraits of (supposed) suburban “thugs” that he then posted in huge formats in the bourgeois districts of Paris. This illegal project became “official” when the Paris City Hall wrapped its building with JR’s photos. Then in 2007 he created Face 2 Face along with friend and art activist Marco. It was the largest illegal photo exhibition ever produced. JR posted enormous portraits of Israelis and Palestinians face to face in eight Palestinian and Israeli cities, on the both sides of the Security fence / Separation wall. The experts said it would be impossible, but he did it. There was subsequently a book published and a documentary made on the project. In 2008, he embarked for a long international trip for “Women”; a project in which he underlines the dignity of women who are often the targets of conflicts. This year (2011) along with Bill Clinton and Bono, JR was awarded the prestigious TED prize.